The release a lot of people have been waiting for is finally here! Since the launch of Instagram, the only way for users to post photos has been to upload them via the mobile app. But now, all of a sudden, it seems like the CEO has changed his mind. If you ask me, it is because the demand for the ability to post photos through Instagram’s website became so high. One reason to why the demand for the ability to being able to post photos from Instagram’s website is that a lot of users in developing countries (where Instagram is getting more and more users from) sometimes don’t have a very good internet connection which makes it difficult to download Instagram’s app. On top of that, the data cost of downloading the Instagram app can be very expensive. 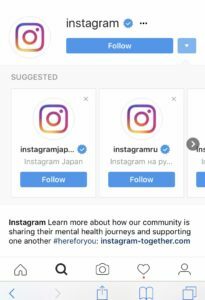 Instagram stills restrics a lot of features on their website that are available on the app, for example the ability of sending Direct Messages, but In Mars 2017, Instagram decided to begin working with a new huge update that would let their users post photos from their website. In May 2017, the update that a lot of people have been waiting for is finally released. The website’s photo uploading feature is still restricted. You can’t add filters, upload to Stories or post videos. The only editing you can do on your photos is rotate them or toggle between a square or “wide crop”. NOTE: This update only allows you to upload photos from Instagram’s website on your smartphone. It does not work on your computer. Uploading from Instagram’s website is simple!